The family goal-setting meeting is where decisions are made about medical interventions for seriously ill patients. These meetings require extraordinary communication skills to best help patients, families and health care providers navigate the strong emotions. The presentation will review a 10-step process for leading a goal-of-care discussion that maximizes the opportunity for emotional engagement and sharing of patient values. The presentation will review methods by which chaplains can use their skills to enhance patient family decision making and support other health care professionals. 1. Learn a 10-step process to lead a family goal-setting meeting. 2. Review the role of chaplains in assisting patients/families to find meaning in medical decision making. 3. List three options for chaplains to enhance their role in working collaboratively with physicians before, during and following a family meeting. 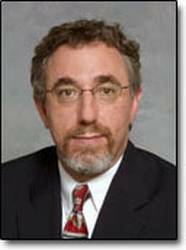 Board Certified in Medical Oncology, Hospice and Palliative Care Medicine, David E. Weissman MD FAAHPM is a professor emeritus and a founder of the Medical College of Wisconsin (MCW) Palliative Care Center in Milwaukee, WI. In 1991, he began one of the first academic palliative care programs in the United States. Founding editor of the Journal of Palliative Medicine, he was named one of the Top 30 Visionaries in Hospice and Palliative Medicine in 2013 by the American Academy of Hospice and Palliative Medicine. Weissman is the co-director of the End-of-Life Palliative Education Resource Center at MCW, and co-director of the Program to Improve the Quality of ICU Care at Mt Sinai Hospital in New York, NY. He operates Palliative Care Education LLC and serves as a consultant to the Center to Advance Palliative Care. Additionally, he is a volunteer attending physician in the Palliative Care Service at Froedtert Hospital in Milwaukee.